There are now millions of people all around the world who are experiencing the incredible healing benefits of drinking sixteen ounces of straight celery juice every day on an empty stomach after reading about this special healing practice in my Medical Medium book series. One of the most common questions we receive is: "Which juicer is the best for making celery juice?" Today I am answering that question for you. The best juicer for juicing celery is a cold press masticating juicer. Masticating juicers more gently and slowly extract the juice from celery and don’t generate as much heat during the juicing process. This helps to preserve as much of the nutrients in your celery as possible and minimize oxidation. Masticating juicers will also extract as much juice as possible from your celery, which means you will use less celery to get your sixteen ounces of juice than you would if you used a centrifugal juicer. Another benefit of masticating juicers is that they are quiet. This makes them the perfect juicer for making celery juice first thing in the morning without waking up anyone else in your home. Centrifugal juicers will still juice celery, so they are certainly great to use. Celery juice made in a centrifugal juicer and consumed right away is still very healing! However, if you are able to use a masticating juicer, the juice produced will be higher quality and richer in nutrients. Below you will find three masticating juicers that juice celery well for you to consider. Each juicer is different in its quality and cost. There are three options so you can select the one that fits your personal needs and budget as you wish. The Aicok masticating juicer is an entry level, lower priced cold press juicer. It can juice celery as well as other fruits and vegetables such as wheatgrass, leafy greens, ginger, apples, oranges, etc. Better masticating vegetables and fruits than other juicers, higher juice yield and drier pulp. The auger on this juicer spins at 80 RPM, which allows vitamins, enzymes, minerals, trace minerals and nutrients to be better preserved than a centrifugal juicer. Keep minimal Oxidation, low heat build-up, less foaming and no clogging. This is a great mid-range masticating juicer that produces high quality cold pressed juice. The Omega Masticating Juicer also uses a low speed of 80 RPMs, which results in minimal heat buildup and oxidation and more nutrient-rich juice than a centrifugal juicer can produce. This is a dual stage juicer, which means the juice is first extracted by crushing the fruit or vegetable. Then, before the pulp is ejected, the pulp is squeezed during the second pressed stage. This results in a higher yield of juice and a very dry pulp. The Omega can juice celery, as well as fruits, vegetables, leafy greens and wheatgrass. The Greenstar is higher end masticating juicer that produces very high quality and nutrient dense juice. It’s considered to be one of the very best masticating juicers available. It uses a slow 110 RPM cold press juice extraction so there is minimal oxidation and nutrient loss. The Greenstar uses stainless steel and bio-ceramic magnetic twin gears that are said to extract juice of higher nutritional content and stabilizing the juice so it remains fresher longer. This juicer can juice celery along with vegetables, fruits, greens, and wheatgrass. Take a bite into these wonderfully aromatic cinnamon-coconut sugar coated cookies. Dairy-free and grain-free, they’re a fantastic healthier cookie option that are brimming with flavor. These cookies would make a great lunchbox addition for children, after school snack, or fun weekend treat to share with friends and family. Cinnamon is particularly good for helping diarrhea, nausea, vomiting, indigestion, flatulence, and arthritis. Cinnamon is known to help prevent and shorten the duration of the flu as well to eliminate congestion and mucus from the body. It is also very beneficial for lowering cholesterol and to help regulate blood sugar. It is known to help increase circulation and contains anti-clotting compounds, which makes it highly beneficial for helping to prevent strokes and coronary artery disease. It is also very good for reducing inflammation in the body making it helpful for people with autoimmune disorders such as fibromyalgia and chronic fatigue syndrome. Cinnamon also has the amazing ability to stop yeast infections, candida, and menstrual cramps. Line a baking sheet with parchment paper. Mix together the cinnamon and coconut sugar to make the coating. Set aside. Place the almond flour, coconut flour, baking powder, sea salt and cinnamon in a medium-sized bowl and whisk until combined. Add the lemon juice, maple syrup, coconut oil, vanilla and stir until you get a uniform dough. If the mixture is too wet, add a bit more coconut flour. Scoop out heaping tablespoons of the dough and roll into balls. Roll them in the cinnamon coconut sugar and place on the parchment paper. Flatten gently with your palm or the bottom of a glass. Place in the oven and bake for 10 minutes, until slightly browned on the bottom. Remove from the oven and cool completely. Chemical and food sensitivities can make life incredibly difficult. All of a sudden you may find yourself reacting to one thing and then another, and another still—maybe the air freshener at the dentist’s office, or the cologne being sprayed at the department store or an ingredient in a meal you’ve always eaten without problems. The irritation and symptoms can start to build: headaches and migraines, fatigue, dizziness, lightheadedness, insomnia, tingling and numbness, anxiety and depression, a runny nose, a tight chest, the feeling that you can’t breathe deeply or breathe properly, a funny taste in your mouth or a tingling tongue. Chemical and food sensitivities are an extremely frustrating and difficult challenge to navigate. Science and research don’t yet know much about these sensitivities. Chronic illnesses and symptoms of almost all kinds are still a mystery. But chemical and food sensitivities can be especially frustrating. The lack of understanding from medical communities, combined with the fact that people’s reactions are often unseen to the outside world can leave sufferers feeling invalidated within an unsympathetic world. The good news is, I can tell you where these sensitivities begin and how to heal them. It all stems from your liver. If you suffer from sensitivities you’ll learn how to heal in Liver Rescue: Answers to Eczema, Psoriasis, Diabetes, Strep, Acne, Gout, Bloating, Gallstones, Adrenal Stress, Fatigue, Fatty Liver, Weight Issues, SIBO & Autoimmune Disease. Even if you don’t have chemical or food sensitivities at this point, you’re still being affected by toxins. We all are. You’ll still benefit from learning more about the incredible organ that is your liver and how its health, or lack thereof, contributes to hundreds of chronic illnesses and symptoms. I have a lot of compassion for people who have sensitivities. Living with this issue means that an invisible, unpredictable threat and trigger can be around any corner or sitting in any meal. Out in the world they never know when they’ll inhale some pesticides being sprayed at the park or find themselves driving behind a truck that’s shooting out exhaust. But it becomes a catch-22 because they also wonder if materials in their homes are causing problems: mold, off-gassing from furniture, carpet cleaning chemicals or the flame retardants in their mattress–to list just a few. On top of that, the triggers seem to move and shift, and all of a sudden that natural shampoo you’ve been using for years and the breakfast you’ve always eaten seems to be a problem too. People’s fear starts to rise. They wonder, “What could trigger it next?” “What’s going to happen next,” “Am I going to die?” “What’s safe?” “What is happening to me?” “Do I have to live in a bubble?” It’s easy to become anxious and obsessive trying to figure out how to deal with it all. I can completely understand why. Your liver is basically a big sponge with the job to collect, catalog and filter everything that comes into your body. Your body takes in what I call liver troublemakers (I explain these in detail in Liver Rescue), including toxins, in a variety of ways. You can inhale toxins, like the chemicals in conventional perfumes or the fungicide your neighbor is spraying next door. You can eat or drink toxins, through the additives in your food, the ingredients in your medication or the chemicals in your tap water. You can also absorb toxins through your skin, like the chemicals used in conventional deodorant or the chemicals sprayed on wrinkle-free clothing. And then your body can also create toxins. For example, when you’re under stress, your adrenal glands pump out adrenaline as a protective measure, but adrenaline is abrasive and especially toxic to your brain. Pathogens are another category of troublemakers for your liver and body. Viruses and bacteria, including many undiscovered mutated strains, are everywhere. Those viruses can make their way into your liver and find a home there. Then the pathogens feed on other toxins and in doing so they release waste byproducts that I call neurotoxins and dermatoxins, which cause problems for your nervous system and for your skin respectively. (By the way, one common virus is Epstein-Barr (EBV), which is responsible for many of the symptoms that lead people to a mistaken Lyme disease diagnosis. 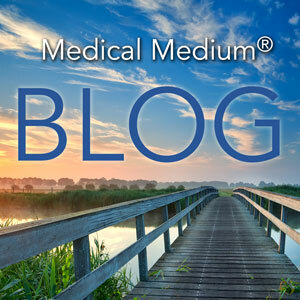 Learn the truth about Lyme disease in my book Medical Medium). Your liver wants to capture as many troublemakers as possible to keep them from damaging the rest of your body, especially your heart and brain. Your liver is a selfless hero. It grabs the most dangerous toxins and locks them deep inside itself with the hope it will be able to release them safely later. The liver also works to neutralize certain troublemakers, or in other words to make them less harmful so that they can be safely eliminated and detoxified without hurting the body. The problem is your liver can only do so much. Since the time of the Industrial Revolution with the use of toxic heavy metals and the advent of harmful chemicals, the liver has too much on its plate. We’re born with troublemakers we’ve inherited from our past generations, and then the burden continues to grow. To make matters worse, modern diets are full of unhealthy foods, many of which contain harmful additives, preservatives and pesticides. On top of that, people are eating too much fat—which is an extra burden to the already-overworked liver, because fat takes more effort to process. It doesn’t matter whether your fat is from the best organic, pasture-raised animal products or whether it’s from the cleanest plant-based vegan diet. The bottom line is, people are eating too much fat. Even someone eating a low-fat diet often needs to do more to support the liver, such as drinking 16 ounces of pure celery juice every morning and eating more leafy greens, because we live in such a toxic world. I talk more about what to do to support your very-busy liver in Liver Rescue. As the liver continues to become more and more burdened, eventually the reactions come out. People who suffer from chemical and food sensitivities often have guesses about when and why it started. They remember the day when their house was painted. Or the day they walked through their condo development while it was getting treated with pesticides. The time they ate a gluten-filled cupcake. But that’s not the whole story. These triggers were simply the last straw. They’re an indication that something has been wrong for a long time, and problems have been mounting. The sensitivity was on its way, and the final trigger got noticed when your liver couldn’t handle the burdens any longer. The deeper truth is that the cause of sensitivities is chemicals! We do live in a toxic world, unfortunately. Our conventional laundry detergents, makeup, air fresheners, and perfumes—they’re all full of poisons. Even Christmas trees are sprayed with something. Even all the food on a cruise ship gets topped with chemicals to protect and preserve the meals. People who react to the poisons we’re inundated with are living demonstrations of the truth that these chemicals are harmful. We need to minimize using them wherever possible or our health problems will only continue to mount. Outsiders sometimes view people who have sensitivities as “crazy” or as “hypochondriacs.” That is, unless the reactions are obvious, like an anaphylactic response to eating peanuts. Ironically, research and science doesn’t have a cure to the problem they created—all they have is another “remedy,” for example you can use an EpiPen after eating that peanut. The other unsympathetic and extremely damaging response to chemical or food sensitivities is that someone has “attracted” the problem or has “manifested” it through their thoughts, emotions or other issues. Of course it’s true that we all want to work on positive thinking and good energy and spiritual development and generating the best of what we want in life. But the idea that you have created your own illness is not only completely wrong; it’s also disrespectful and dismissive of all you’re going through. It’s especially disastrous when young people believe this theory—not only are they struggling with their physical health but now they themselves are to blame. This can totally shake a young person’s foundation and ability to cope emotionally, mentally and physically. It creates shame, isolation and dangerous pressure. This is what happens when science and research and providers don’t have the answers for chronic illness, including for chemical and food sensitivities. But there are real causes, and real solutions. We need to find compassion for ourselves and for others who are suffering. Lives can be saved when we do. Freedom from sensitivities takes time, and it is a more difficult detoxification process. But it is absolutely possible. I’ve helped thousands of people heal from chemical and food sensitivities over the decades. Even if you’ve become so sensitive that you can’t handle most supplements, you aren’t stuck. Note that this can often be because you’re using the wrong kind of quality of supplements. You may tolerate high quality supplements, like those on my preferred supplements page, at low doses just fine. But there are answers with food. You can heal by drinking pure celery juice on an empty stomach every morning. And by eating lots and lots of fresh fruit and leafy greens. If your nervous system is really sensitive, you may still react to certain exposures after you even heal. You’ll still need to work carefully with foods and try not to get too much exposure to triggers and toxins as you heal. Remember too that you aren’t the problem and you never were. It’s valuable to be a sensitive person. Your heightened awareness about the perils of our world makes you gifted and can help you protect yourself, others and our planet. You know the truth because your body is showing you. Take it one day at a time. I support you. Love sweet potatoes? Here’s one more fun way to enjoy them! Whether you like to use tortillas to make wraps, tacos, pizzas, quesadillas, sandwiches, nachos or any other favorite meal, a good tortilla recipe is the foundation. In this recipe, sweet potato comes together along with cassava, chickpea, and arrowroot flour to make flexible, pretty, orange-hued tortillas that also taste great! Sweet potatoes are one of the best anti-cancer foods and can particularly help to prevent breast, colon, lung, skin, and oral cancers. Sweet potatoes are known for being easy to digest and are very good for ulcers, inflamed colons, digestive disorders, and constipation. Sweet potatoes contain compounds called phytochelatins that can bind to heavy metals such as lead, mercury, copper, & cadmium and safely remove them through the body. Place the sweet potatoes in. Cover with a lid and steam for 10-15 minutes, until tender. Remove and cool. Place the sweet potatoes in a food processor and blend until smooth. Measure out 1 cup of sweet potato mash and leave the rest for another recipe. Add the cup of sweet potato to a large bowl with the cassava flour, arrowroot flour, chickpea flour and sea salt. Using a potato masher, mash until you get a crumbly mixture. Set the potato masher aside and working with your hands, add water one tablespoon at a time while kneading. Depending on the moisture content of the flours and sweet potato mash you may not need to add any water at all. Knead the dough until it is smooth and uniform, about 3-5 minutes. The dough must not be sticky at all - if it is, add more cassava flour. When ready, cut the dough into 4 even pieces. Working one piece at a time, roll each of them out between two sheets of parchment paper to 1/8 inch thick. Keep the remaining pieces in plastic wrap so that they don’t dry out. Remove the top sheet and place the lid of a saucepan (7 inches in diameter) on top. Circle around the lid with a knife to create a tortilla shape. Remove the excess dough. Place a non-stick pan on medium-high heat. Flip the tortilla onto the pan and carefully remove the parchment paper right away. If you leave it for too long the paper might stick to the dough. Cook for 3-4 minutes on each side, until golden brown. Repeat with rest of the dough. Best kept at room temperature in an air-tight container. These Veggie Lasagna Cupcakes are a fun, bite-sized way to enjoy a traditional family favourite. Made with roasted potato and zucchini to replace the wheat pasta and a delicious, creamy cashew cheese to replace the regular dairy cheese, these cupcakes are free of pathogen-feeding foods. This is a great recipe to make with your family or to serve up to guests at your next gathering. Zucchini is rich in poly-phenolic antioxidants which are essential in helping to protect the body from aging, illness, and disease. Zucchini is also a good source of potassium, which is an important intra-cellular electrolyte that helps to maintain fluid balance and normalize blood pressure and is vital in helping to prevent heart attacks and stroke. Potatoes contain an antioxidant called quercetin, which has anti-cancer and cardio-protective properties as well as a storage protein called patatin, which has been shown to exhibit activity against disease causing free radicals. 1. Make the cashew cheese by blending all the ingredients together in a high-speed blender or food processor until smooth and creamy. 2. Place the grape tomatoes and unpeeled garlic cloves on a baking tray and roast at 400F for 15 minutes. Please the roasted tomatoes, garlic and other tomato sauce ingredients in a blender and blend until smooth. 3. Cut the zucchini and peeled potatoes into rounds. 4. Line a cupcake baking tray with cupcake case liners. Please a potato round at the bottom of each cupcake liner. Please a spoonful of tomato sauce on top of the potato round. Please a zucchini round on top of the tomato sauce and then a small spoonful of cashew cheese on top of the zucchini. Then add a potato round, another spoon of tomato sauce, another zucchini round, and a final spoon of cashew cheese. 5. Place the cupcakes in the oven at 400F for 30 minutes until golden on top. Serve and enjoy! 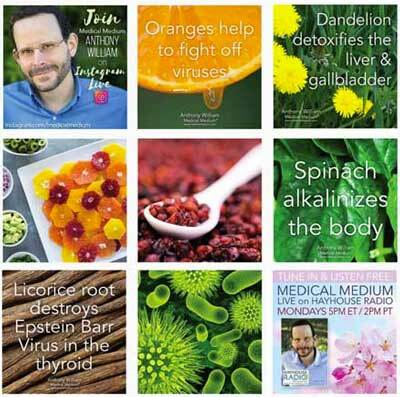 To find out more of the undiscovered healing properties of dozens of foods, check out the #1 NY Times Best-selling book, Life-Changing Foods. Ratatouille is the perfect healthy comfort food that nourishes the body, mind, and soul. The warm veggies bubbling in a rich savory sauce make it a wonderful meal that is enjoyed by family and friends alike. It pairs well with soup, salad, cauliflower rice, quinoa, or any veggie side dish. Ratatouille also freezes well which means you can cook in advance and have it on hand for any last minute dinner needs. Eggplant: Often shunned due to confused belief systems about nightshades, eggplant is more worthy than we are led to believe. It can help us more than anyone knows; the only reason it’s avoided is because we don’t understand it. In truth, eggplant has small quantities of an undiscovered astringent phytochemical that improves blood flow to the liver, allows oxygen to be maximized inside the liver, and helps prevent all manner of disease. Eggplant also has phytochemical compounds that bind onto vitamin C, making it more bioavailable to the liver and the liver’s personalized immune system. Eggplant thins out dirty blood filled with fats and poisons, which can help stop blood clots from occurring inside our veins and eases the heart, too, allowing it to not overwork as it pumps. Preheat the oven to 375°F. Thinly slice the zucchini, yellow squash, eggplant, and red bell pepper into rounds. Set aside. To make the tomato sauce, combine its ingredients in a saucepan over high heat. Stir frequently for 2 to 3 minutes until the tomatoes have released their juices. Reduce heat to a simmer and continue stirring occasionally for 15 to 20 minutes until the tomatoes have started to break down. Using an immersion blender, puree the tomatoes until a chunky sauce forms. Alternatively, you can use a standing blender for this step by pulse blending and leaving an opening at the top to allow the steam to escape. Place a cup of the tomato sauce in the bottom of a baking dish and spread it to coat the bottom. Layer the zucchini, yellow squash, eggplant, and red bell pepper slices in whatever pattern is desired. Cover the baking dish with parchment paper and place in the oven for 45 to 60 minutes, until the vegetables are tender. Serve the ratatouille topped with the remaining tomato sauce, over a bed of quinoa if desired. *This tomato sauce freezes well and can be kept on hand for quick, easy meals anytime. *If you use store-bought tomato paste, make sure it doesn’t contain citric acid. *For an even faster version, roughly dice the zucchini, yellow squash, eggplant, and red bell pepper, mix in the tomato sauce, and cook everything in a baking dish for 40 to 60 minutes until all the vegetables are tender. Lightly crispy, golden potatoes with a touch of rosemary and crushed garlic. Hungry, anyone? These wonderful smashed potatoes are easy to make and taste delicious. You can omit the olive oil if you wish for fat free smashed potatoes. Serve them with a big leafy green or chopped veggie salad like the Liver Rescue Salad recipe on the blog for a satisfying and tasty meal. Preheat oven to 425F. Place the potatoes in steamer. Cover with a lid and steam for 15-25 minutes, until tender. Remove from heat and cool completely. Arrange the potatoes on a baking sheet covered with parchment paper. Using the back of a spoon or a small glass, carefully smash the potatoes until flattened. Top with olive oil, garlic and rosemary. Bake until the potatoes are browned and crisp, about 20-35 minutes. Serve immediately, garnished with fresh parsley or chives. These two salad options are brimming with healing properties for your liver. They’re great for when you want a lighter meal, and they’re also perfect additions to a cooked meal such as the steamed vegetables from the Liver Rescue 3:6:9. You can customize each salad with any of the liver-healing foods from Liver Rescue so that you never get bored. If you try the fat-free Orange “Vinaigrette” Dressing, it is sure to become a staple in your kitchen. It’s flavorful, sweet, and satisfying for anyone to enjoy. Spinach: The mineral salts in a spinach leaf and especially its stem helps the liver with its over 2,000 chemical functions. Not only is spinach filled with lots of vitamins and other nutrients; they’re nutrients that the liver can easily absorb. Spinach leaves release nutrients quickly into the intestinal tract, even when someone is experiencing weak hydrochloric acid or bile production levels. It massages the ileum, allowing for better B12 production, and helps the liver convert nutrients so the rest of the body can receive them once the liver releases them. Asparagus: Provide a wealth of flavonoids, many of them undiscovered or unstudied, that are highly anti-inflammatory; they act as natural aspirin and soothe a hot, overburdened, struggling liver. The liver’s ability to cleanse increases greatly from this calming effect. Asparagus brings order to a chaotic, sick liver. The liver’s immune system strengthens instantly from asparagus. It increases bile production yet doesn’t allow the liver to overwork itself in producing bile. Helps dislodge fat cells, expelling them from the liver. Helps rejuvenate the liver’s deep, inner core. Asparagus is one of the most important liver healing foods. Consider putting it on the menu at least a few times a week. Place the salad vegetables and the leafy greens of your choice in a bowl and mix together to form the base of the salad. Drizzle the fresh lemon, lime, or orange juice over top to taste. Alternatively, make the Orange “Vinaigrette” by blending all of its ingredients until smoothly combined. Toss your salad in the straight citrus juice or Orange “Vinaigrette” Dressing until well mixed. If you’re sharing with another or saving some for later, divide the salad into two bowls. Enjoy!